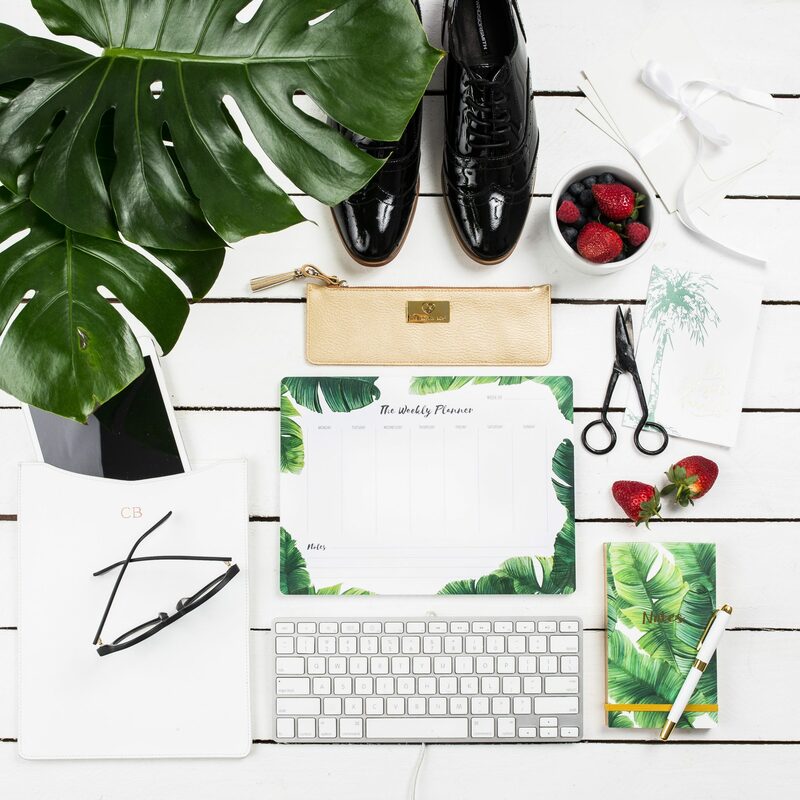 A beautiful workspace is the key to a productive day’s work… right? Finding the motivation to start work each day is hard enough without having to worry about the messiness of the previous day. When you work at a desk all day, you want to be surrounded with things that are going to keep you inspired and motivated to achieve everything you set out to do on any particular day. For those of you that work from home, this little blog will be particularly helpful to you. Personally, when I work from home I can easily get distracted by the dishes that need to be done, the washing that needs hanging out and the lawn that isn’t going to mow itself. Finding a balance between working from home and just having a day off can be difficult. I am here to give you the secrets about how to successfully work in either your work or home office by surrounding yourself with the proper motivation. A desk and work space free of distractions is impossible. So you want to make sure that the things that will notice throughout the day are going to keep you inspired and motivated. from anything in view that may distract you when you should be working. If you have to share your office space, try to put up some sort of divider to make sure you don’t chat the day away. Alternatively, swap the side of the desk that your computer is on to help you not get distracted. 2) Add your ‘to-do list’ to the wall next to you so that if your eyes do start to wonder, you will see exactly how much you need to get done and remember that you do not have time for distractions. 3) Add a few motivational posters or framed artwork to your space…. I cannot tell you how many times per day I glance up at me ‘You’ve Got This’ poster hung directly behind my computer. 4) At the start of every week or month create an achievement board… Setting goals is the key to actually reaching them! 5) Storage! Storage is the key to keeping your desk clean and clear. But desk drawers and filing cabinets are useless if you’re not putting anything away. So make the time at the end of each day to file away everything and have a clear plan about the following day. Now that we have gotten through all of the boring stuff. Let’s talk about styling your desk. Being a designer, I want my desk and office space to be beautiful and full of inspiration! I want it to be a space I enjoy being in but without too many distractions. 1) Fresh flowers or plants. 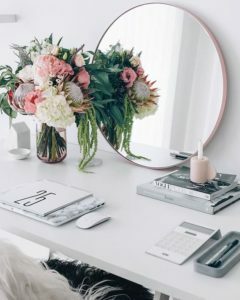 Surrounding yourself with something as simple and beautiful as flowers will do wonders for your mood and motivation throughout the longs days sat at your computer desk. If you don’t want to be outlaying the money to be buying a new bunch of flowers every week, try adding a few plants. 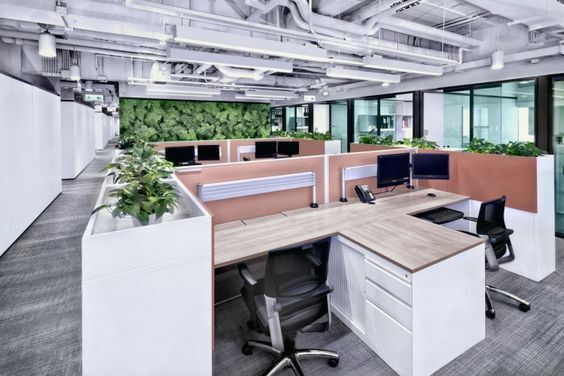 Succulents are great office plants and there are some theories that say keeping plants around you can improve your productivity and creativity as well as free the air of harsh chemicals, making your environment stress free! 2) Natural light. Don’t trap yourself in a room without any natural light… you will go stir crazy! Enjoy the sunlight on your skin and the view of outside while you procrastinate… just don’t do it for too long! 3) Add a few books! Books don’t just look beautiful; they make you smarter too… right? 4) And of course we cannot forget… the stationery! 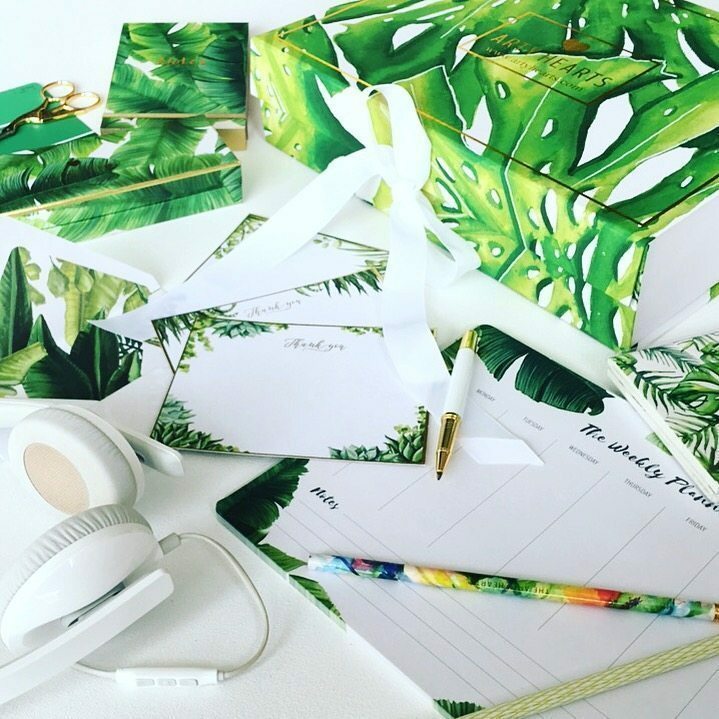 You could opt for a plain black stapler, black pens, black and white notepads but… why would you when you can have vibrant and colourful stationery that are going to brighten each and every day! I particularly enjoy the ‘tropical’ range of stationery from the Arty Hearts collection. It fills my office area with greenery and floral happiness! You just don’t get sick of it! Keeping your desk area inspiring is just something small you can do for yourself. It is amazing the difference it can make in your attitude towards work! If you think of your desk only as a ‘work station’ than you are never going to want to go near it. 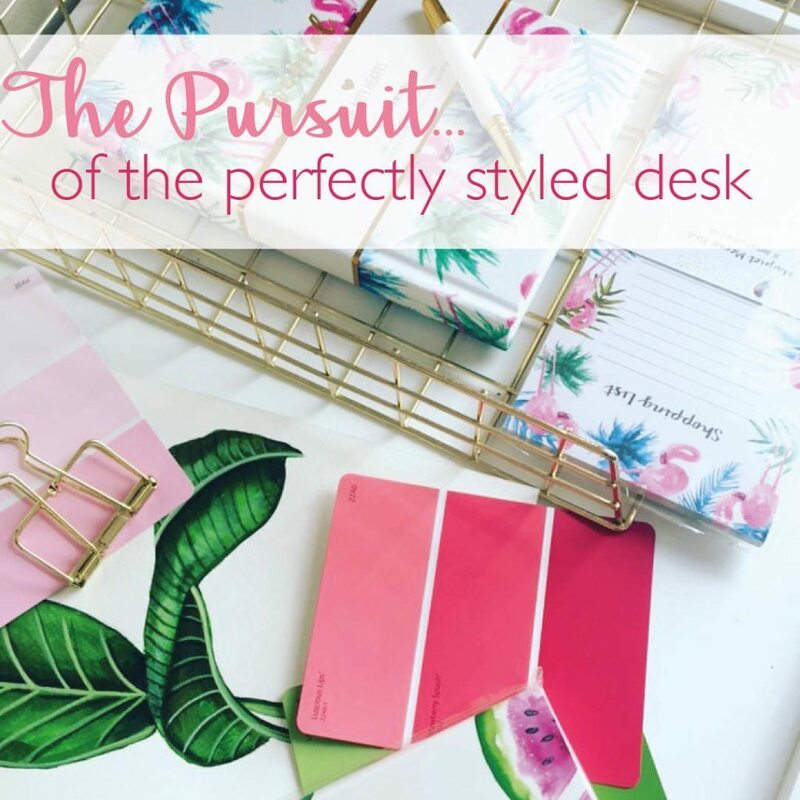 Surrounding yourself with things that make you smile and having a beautifully styled desk will help keep you excited and motivated about your days spent in your office… not to mention it will drive your co-worker’s crazy with jealousy!